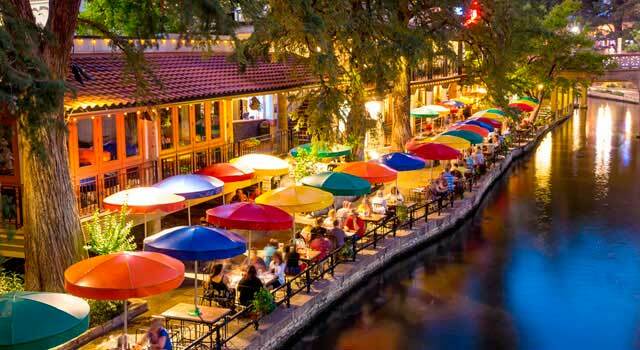 Use this website to quickly find the most important information about the main airport in San Antonio, Texas, called San Antonio International Airport: Departures, Arrivals, Parking, Car Rentals, Hotels near the airport and other information about San Antonio Airport. Plan your travel to SAT Airport with the information provided in this site. San Antonio Airport, officially known as San Antonio International Airport (IATA: SAT, ICAO: KSAT, FAA LID: SAT) is the main international airport in Greater San Antonio Area, Texas, US, located in the Uptown Central San Antonio, 8 miles north of downtown San Antonio. 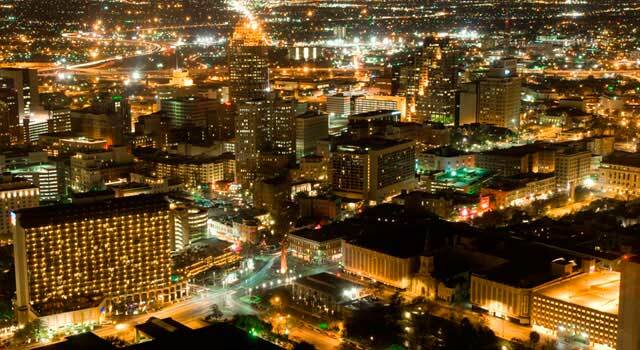 San Antonio Airport is located 8 miles north of Downtown San Antonio, in the state of Texas. In 2017 SAT airport handled over 9 million passengers. The airport has two terminals, A and B and overall 24 jet bridge gates. Over 30 non-stop domestic and international destinations connects with SAT Airport. 10 domestic and international airlines provide regular commercial service. San Antonio Airport serves as a hub for Xtra Airways, which offers flights to any destination within Canada, U.S., Alaska, Mexico, Central America and South America. It also is a hub for charter operations. In 2017 San Antonio airport handled 9,063,542 passengers. The top ten destinations are all US cities/airports except position 7 with Mexico. The following order is: Dallas/Fort Worth, Atlanta, Dallas-Love, Houston, Phoenix, Denver, Mexico, Las Vegas, Los Angeles and Houston-Hobby. SAT Airport consists of two passenger terminals, A and B, with 24 jet bridge gates. Both Terminals are located one beside the other within the same building, even security control and check-in counters are separated. It is the largest one with 17 gates numbered in sequential order. 15 of this 17 gates are actually in use. It handles all international carriers and it’s been remodeled with noticeable changes. It has 8 gates also numbered in sequential order. The main airlines in the terminal are American Airlines and United. Terminal B exclusively handles regional and domestic flights. In San Antonio Airport there’s a volunteer program provided with a friendly group of people to attend any needs from travelers. There’s also a Cell Phone waiting lot which offers 79 spaces to park and wait. San Antonio Airport offers more than 30 shops with known brands and restaurants to taste the flavors of Texas. SAT Airport also organises Art Exhibitions which are spread for the airport, mostly in Terminal B and Parking. - VIA Metropolitan Transit: To get downtown from the airport: Get to the Lower Roadway (Arrivals/Baggage Level in Terminal A and B). Line 5 runs from the center island at the far end of Terminal B to the downtown area. Departs every 30 minutes. See more info. 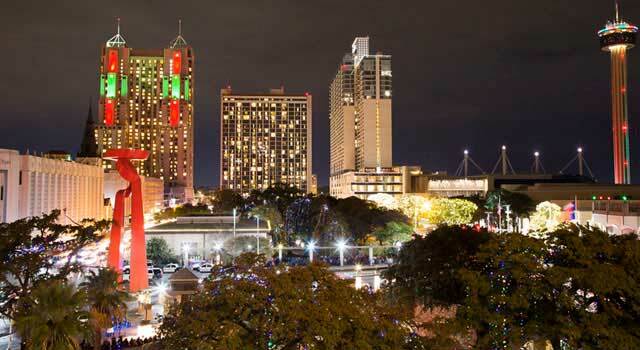 - Shuttle: Super Shuttle is the only company that offers service in San Antonio Airport. Daily service is from 07:00 am to 01:30 am. Departures to downtown hotels are done every 15 minutes. See more info. - Taxi cabs: Available at the lower level, outside of baggage claim Terminal A. 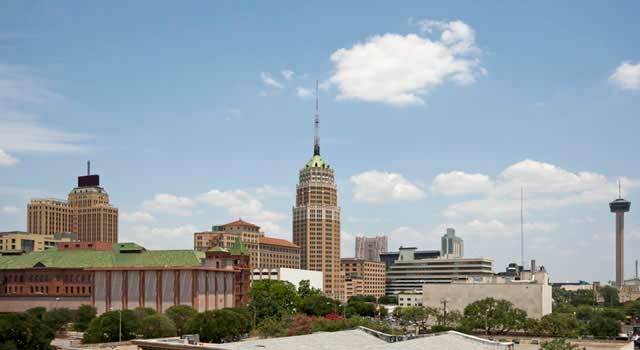 It is possible to get to downtown San Antonio within 20 minutes. See more info. 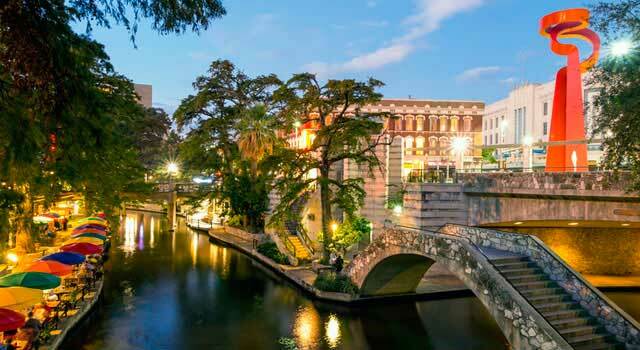 - Located 8 miles north of Downtown San Antonio, in the state of Texas, U.S. Address: 9800 Airport Blvd, San Antonio, TX 78216, U.S.A.